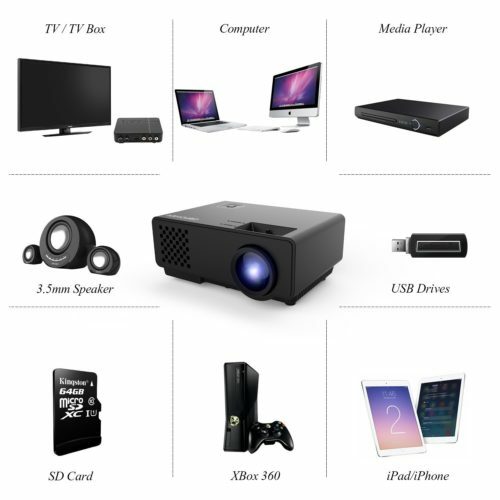 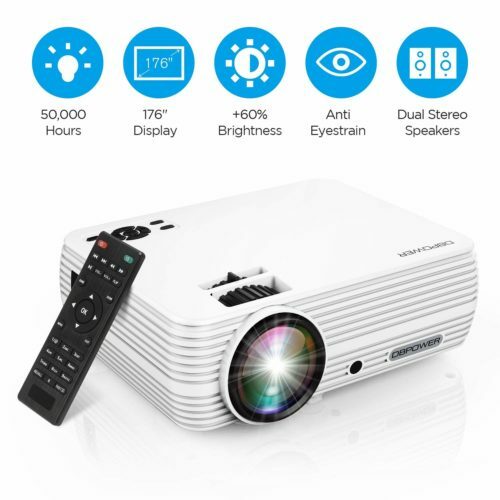 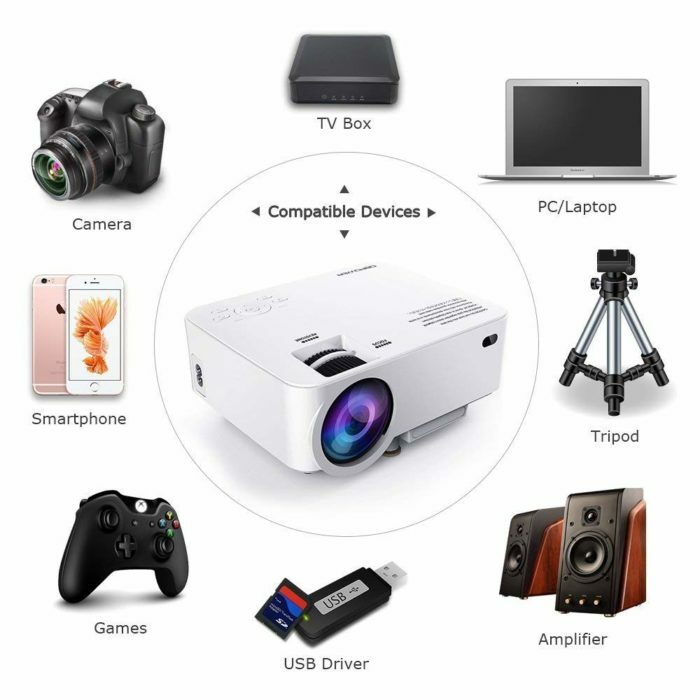 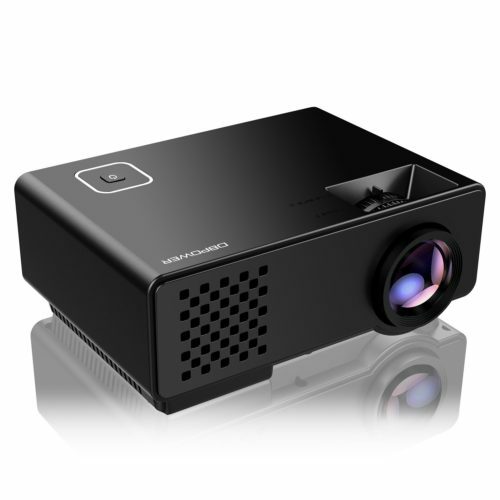 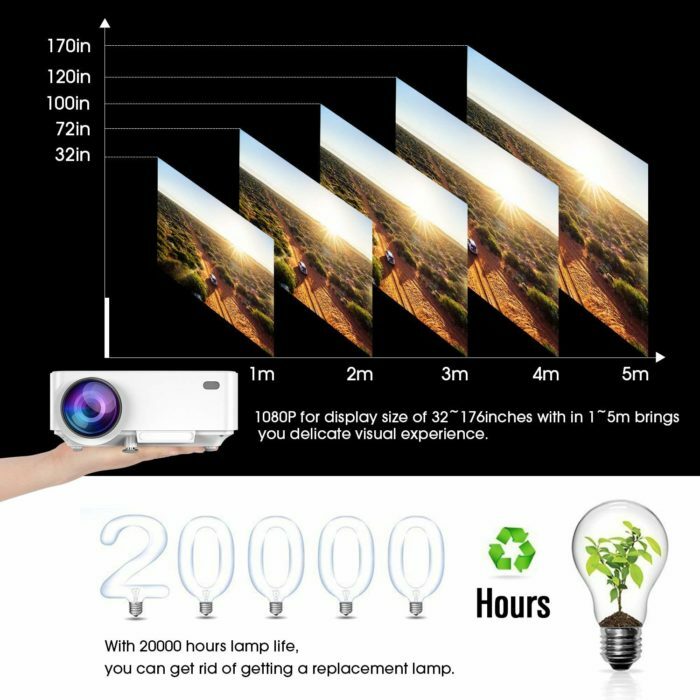 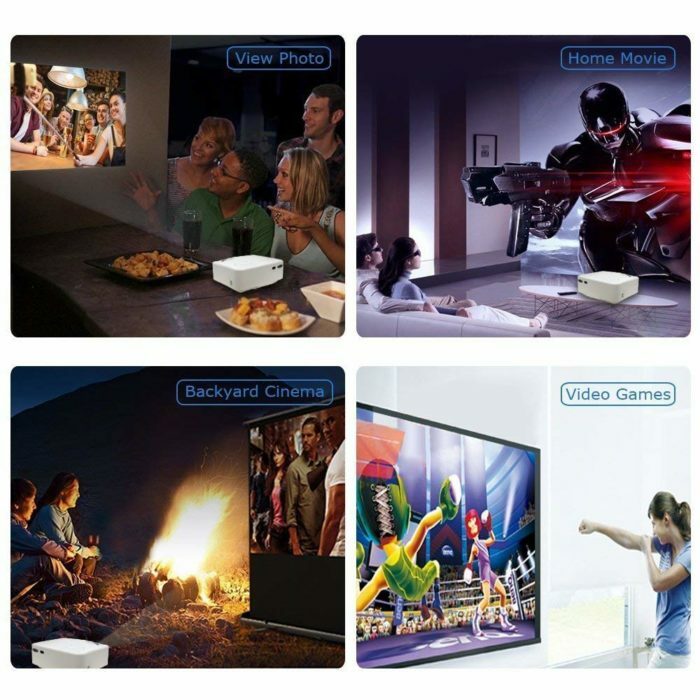 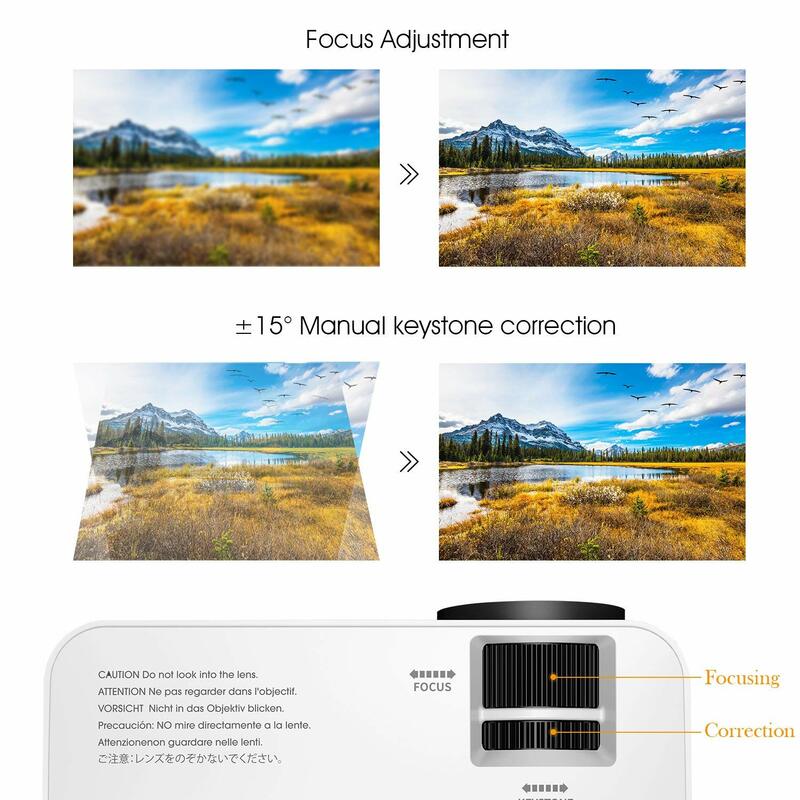 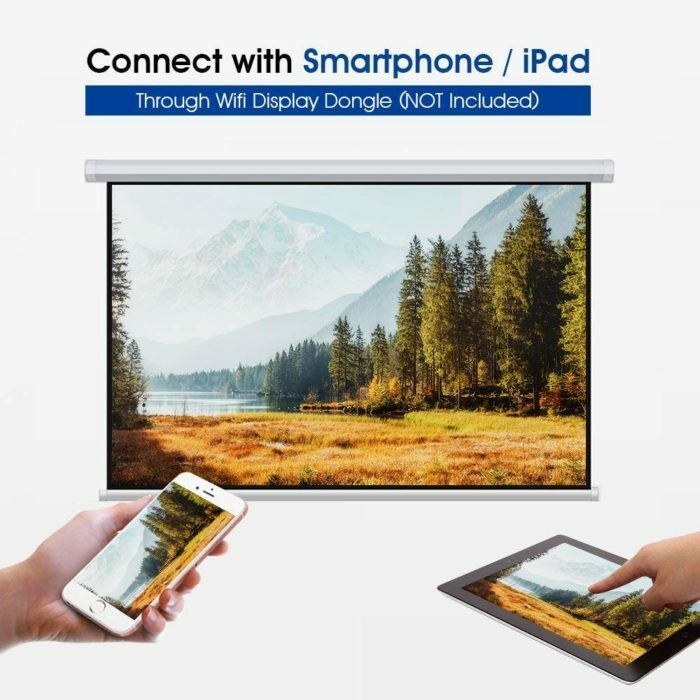 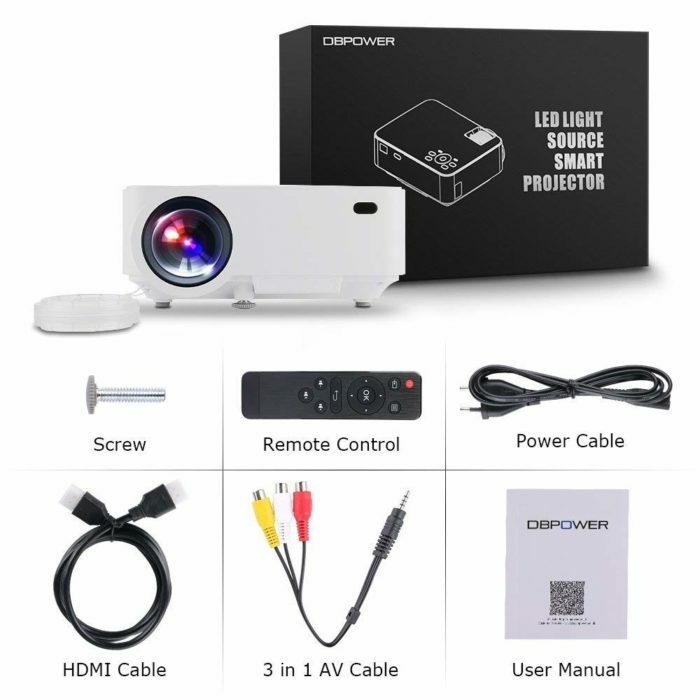 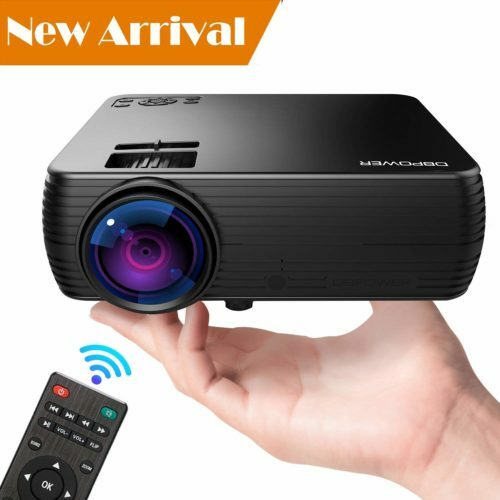 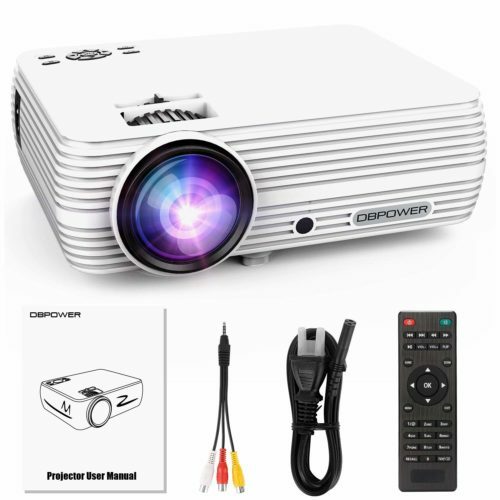 Top-notch viewing experience: Offering a 32”-176″ display size at a distance of between 1.5-5m, this projector provides you with a superior home-viewing experience. 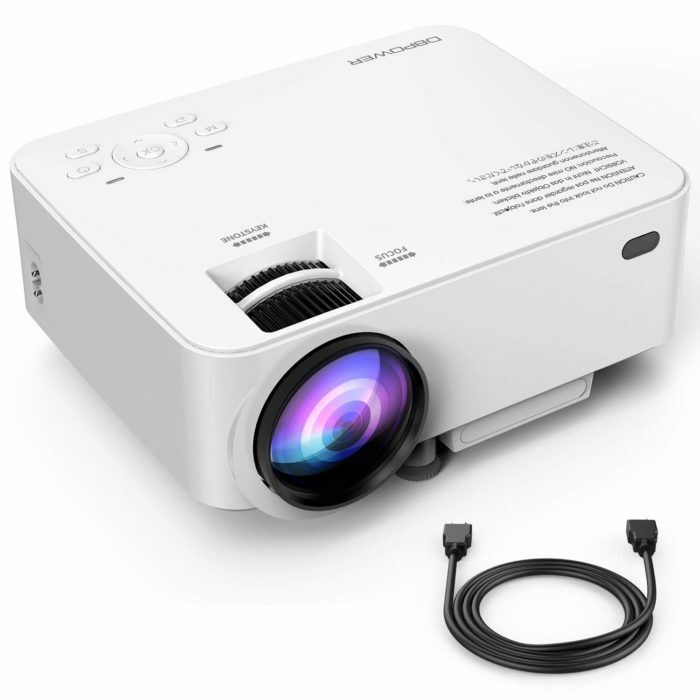 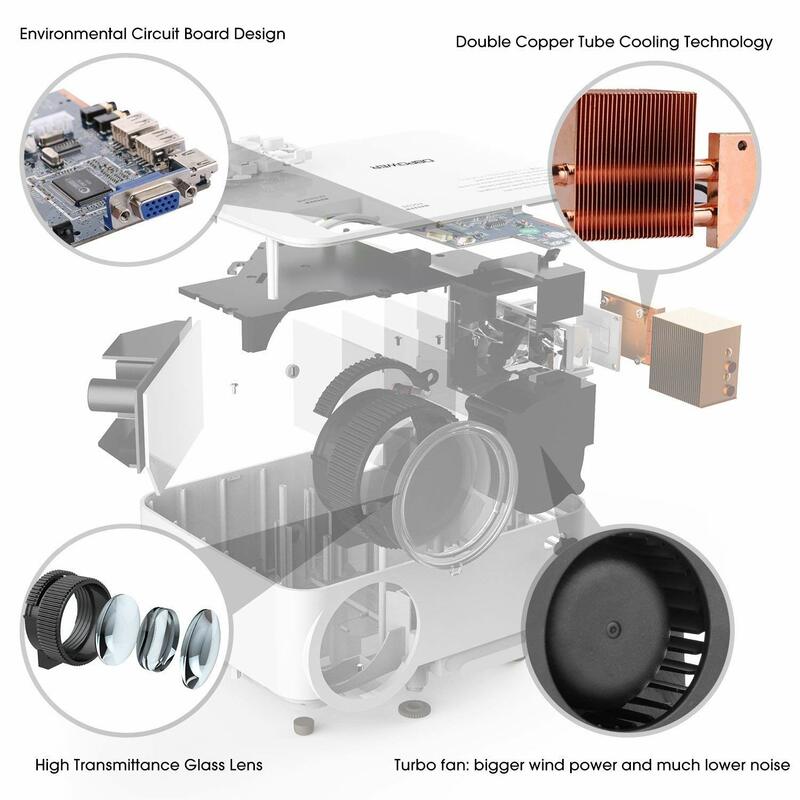 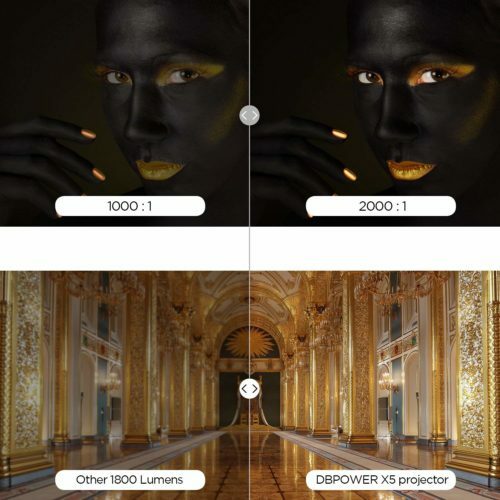 By placing the projector at an optimum distance of about 2 to 2.5m, it will display a super-clear and bright 130” image. 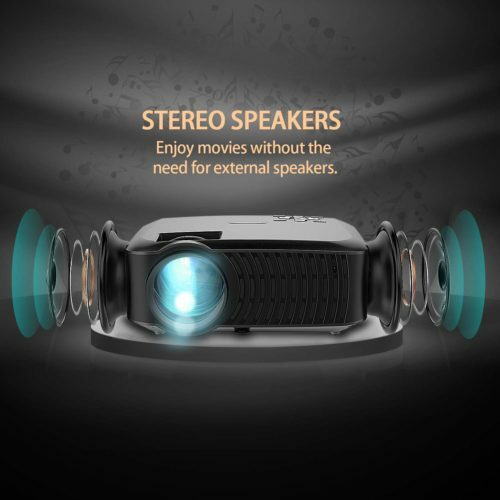 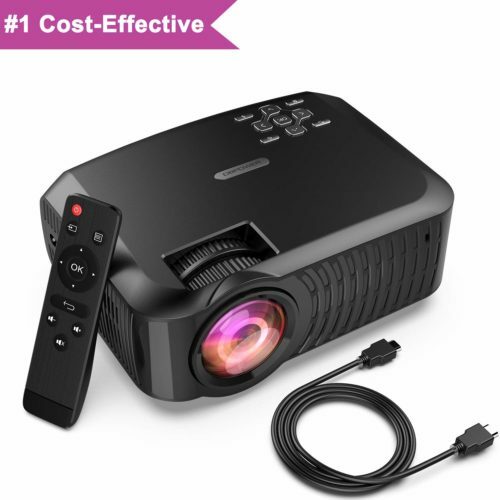 However, as this projector is only ideal for home entertainment, we do NOT recommend it for use in PPT or business presentations. 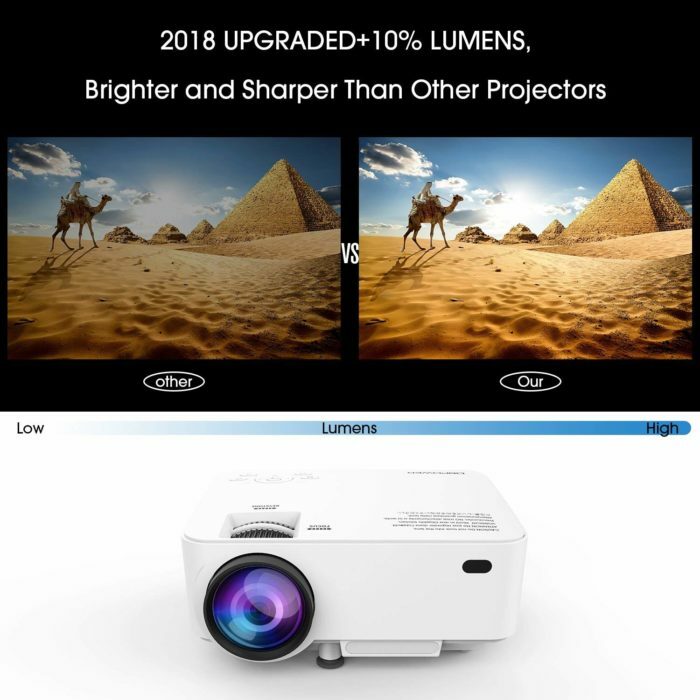 Leading warranty: Made to the highest quality, we’re able to offer you a 1-year money back guarantee and lifetime professional customer service & technical support. If you have any problems or questions, please feel free to contact us anytime!